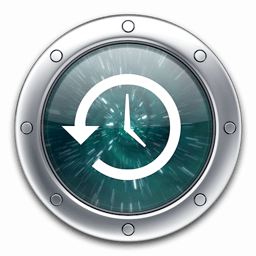 Back up your Apple Mac with Time Machine - A quick guide on how to. Probably one of the most beneficial and useful applications that comes bundled with your Mac, but the least utilised. Time Machine is a brilliant tool, you just need to use it. Imagine if you could go back in time to just a little bit before you accidentally deleted a file. Imagine if your hard drive failed and you could just have it replaced and restore your Mac to how it was before the failure. Every file where you left it, every desktop icon in it’s place, every email and photo back from the dead. Well you can and it’s free software that is already installed! All you need to do is buy yourself an external USB hard drive and plug it in to your Mac. It doesn’t need to be an expensive one especially for Macs, just choose one the right size for your Hard drive. Plug it in and you will be walked through the process of setting it up as a Time Machine backup disk. This will take a while the first time but after that it will just add any changes that have occurred since the last backup. If you leave the disk plugged in it will mean you can go back in time every hour for 24 hours, every day for a month and every week for subsequent months. If you unplug the disk, such as with a MacBook, a back up will be made when you next plug in automatically or Manually if you prefer. I regularly see Macs in my workshop that have dead hard drives and no backups have been made, as a consequence all data has been lost. If you would like help setting this up just give me a call and I can help you with it for Free. That’s free software and free help setting it up, so no excuse for not doing it and protecting your data.